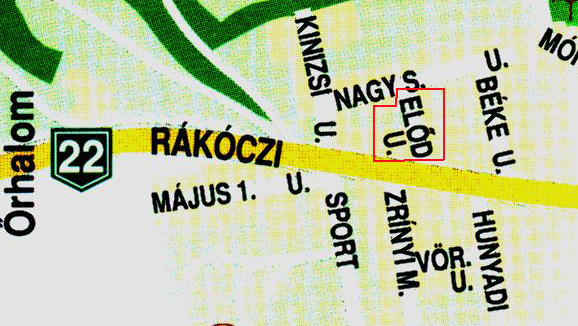 3170 Szécsény Előd út 2. 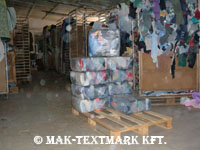 Our company has been processing textiles and producing cleaning rags since 1997.We import second-hand clothes and basic material of cleaning rag from Western Europe. 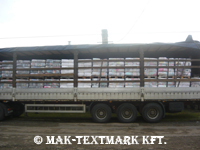 We sell second-hand clothes in sacks and bales. 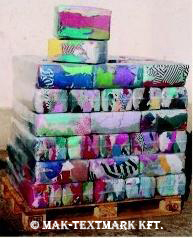 Our main profile is producing and selling cleaning rags on Hungarian and Western European markets. 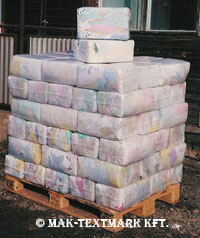 Cleaning rag is produced according to quality, composition of material and colour in different packages. 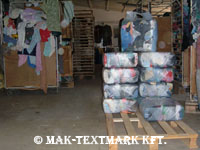 We also have hired hands for processing textiles and producing cleaning rags. 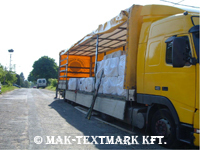 Our products are adequate for the regulations of European Union. Cotton vest, T-shirt, cleaning rag made of print and towelling material selected in different colours. 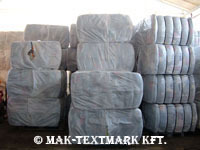 Packages: 5kgs, 10kgs, 50kgs, 100kgs, 300kgs, 450kgs in pressed bales. 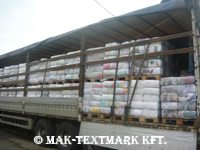 If you are interested in our products, please contact us marking the quantity and quality re quested. 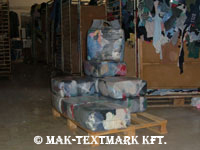 We offer textile processing on commission meeting high quality requirements. 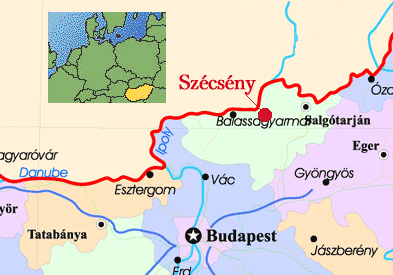 We make enter employement and lease-work. Currently no discounts are offered.